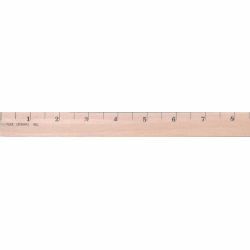 Scaled from sixteenths to one inch, these rulers make learning easier. Rulers are lacquer coated and have no metal edges. 7/8" wide x 5/32" thick.